This programs focuses on channeling the energy that these children have into useful outlets. Children in our Mighty Min’s program are at their formative years where how they are encouraged will help determine their confidence throughout their childhood. Our goal is to empower these young minds through Martial Arts practice and ensuring we bring a human quality to each and every lesson. Our Mighty Min's learn how to focus on tasks greater by the physical activities they engage in the classes. They also learn the meaning of patience and respect towards their parents, and the appropriate ways of expressing it. 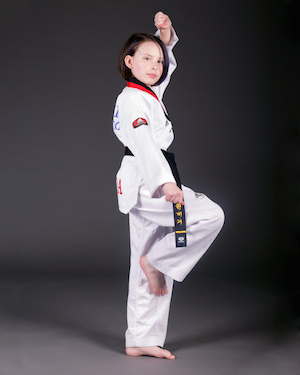 These children learn early the value of martial arts through self-discipline and are actively engaged in every class. Their good behaviour is constantly rewarded through positive reinforcement by the instructors. The instructors are high-energy in this class and motivate the children to always do their best! Our members can expect an attentive and engaging class. Since these children have a lot of energy, it is our goal to ensure they are active throughout their whole session. We reinforce focusing skills and respect for themselves and others. Having fun is very important to children therefore we strike a balance of having fun through disciplined training. This program is highly interactive and a great start in life for your young child. In addition, it is never too young to begin to learn self-defense and instill the right kind of confidence in these young minds.